My take: Jojo Moyes is two for two in my experience with her novels. I loved Me Before You and now I can add One Plus One to the “loved” category. Through the entire book I wanted to hug Jess, her stepson Nicky and daughter Tanzie and tell them “hang in there. It’ll be ok”. I felt the same way for a few characters in Me Before You. 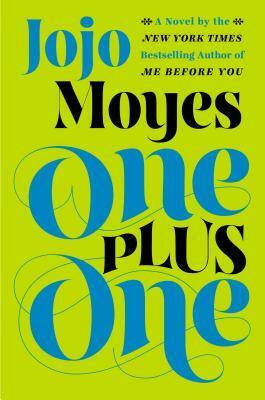 Moyes never makes her characters pathetic or maudlin – just truly human. And while she does that she writes incredibly funny scenes as well as heartbreaking ones. The car trip to the Math Olympiad had me laughing out loud most of the time. Ultimately the point is made that everyone deserves a second chance – and to never give up. I turned the final page with a satisfied smile hoping that Jojo Moyes’ next book won’t be too far away. I’m a fan. Highly recommended.